Fourteen people were indicted by the LaRue County Grand Jury on Monday, September 19. 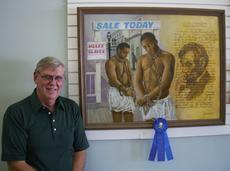 Lincoln Days and the Lincoln Museum presented the 45th Annual Lincoln Days Art Show and Opening reception on Sunday, September 25, 2016. Area homemakers provided cookies for the reception which was well attended by participating artists and community members. The second annual Luke 14 party to honor disabled individuals was held at the Hardin County Fairgrounds last Saturday with approximately 400 people in attendance. The event featured a pirate theme with games and activities aimed at giving people with disabilities and their caretakers the opportunity to have fun in a caring family environment. 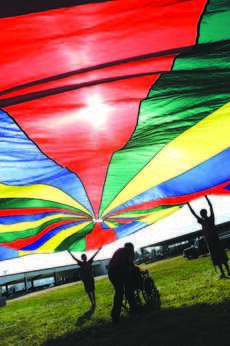 Event coordinator Gary Rock of Hodgenville explained that Luke 14 offers disabled people a unique experience of having some of the same fun that everyone else gets to experience. LaRue County residents that are part of the Sonora Fire Department district will notice something different about their property tax bills this year. Sonora Fire Chief Robert Wethington said the residents that are in their district in LaRue County will have the option to pay an annual $35 subscriber fee. Residents have the choice to not pay the fee, but Wethington said if those who don’t pay have a fire or other emergency requiring their services, they would receive a run bill starting at $500 or more depending on the type of emergency. The 45th annual Lincoln Days Celebration is upon us with a schedule full of activities and entertainment there is sure to be something for everyone. The Lincoln Days theme this year, 100 Years of Memories, is celebrating the 100th anniversary of the Abraham Lincoln Birthplace National Historical Park. “Whether it’s making new memories or reflecting on past memories of the park and of Lincoln Days; this year is all about memories,” Lincoln Days President Sarah Quesenberry said. LaRue County Middle School assistant principal James Slaven has been named head coach of the LCHS Lady Hawks varsity basketball team. Slaven replaces Kelton “Simon” Ford who resigned on Monday, September 19 after he was indicted for first degree sexual abuse. Ford was arrested last Tuesday and he was released on a $5,000 cash bond from LaRue County Detention Center on the same day. His arraignment is scheduled for Monday, October 3 in LaRue County Circuit Court at 9 a.m.
Thrill seekers will no longer have to travel outside of LaRue County for some safe and fun Halloween Horror. LaRue County Fairgrounds Haunted Barn will be opening Friday, September 30 at dark. 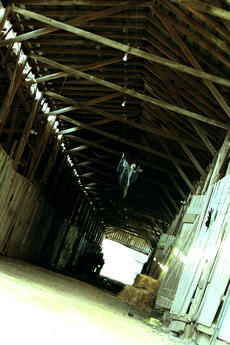 Visitors can make their way through the haunted barn and there will also be a hay ride. Slaven replaces Kelton “Simon” Ford who resigned on Monday, September 19 after he was indicted for first degree sexual abuse. 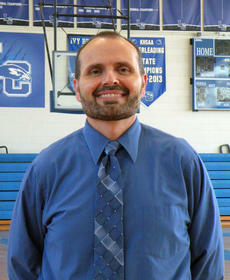 LaRue County High School principal Kyle Goodlett said Slaven takes on coaching duties immediately.